November means two things at my house: NaNoWriMo and Thanksgiving. Both are a little different this year. I'm thankful to be able to say that it's been a good year for writing. My debut novel, Going Through the Change, came out in April. The sequel is in editing now, and I'm trying to draft the three-quel for National Novel Writing Month. I've also had some short stories accepted for anthologies, that should all pop here in the next few months. Of course, since it has been a good year for writing, I've had new things to fit into my calendar like promotions, sales, author events, and Atomacon! This means I'm seriously behind on my word count. In fact, I have substantial doubts that I'll make my 50K this year. That makes me a little sad, but it doesn't feel as bad as it might have another year. I know I'll finish the novel regardless of the timing, and it's not worth driving myself crazy just to fit the words into this particular month. After all, every month is novel-writing month for me, though I don't usually produce 50K in one month. I still have a day job, kids, a dog, and a love life to consider, not to mention a need to read and play video games once in a while. 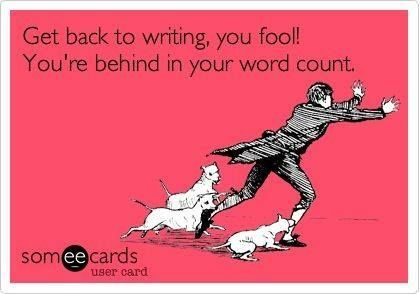 Often I catch up on the word count over Thanksgiving (this is my third NaNoWriMo, and I won both other years), but I haven't been this far behind before. So we'll see what we see. Thanksgiving is going to be smaller this year with only my own family of four gathered around the table. I am both grateful for this and a little sad. Thanksgiving can be a great time to get together with your loved ones, but most of mine live pretty far away and none of us want to spend our precious holiday hours in the car all day. So, I'll be having a quiet holiday in comparison to other years. I think I'm most thankful of all for that. Quiet can be a lovely lovely thing. This past weekend was my first con. No, I didn't bilk an old lady out of her fortune, trick an old millionaire into marrying me, or anything like that. 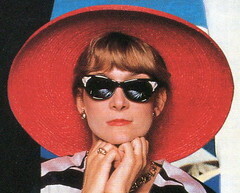 Though I'm sure I could rock a good hat and shades, given the opportunity. No, this is a different sort of con. Con as in short for convention. I was a guest author at Atomacon! The six months since the release of my debut novel have been filled with all kinds of firsts. From receiving my first delivery of a box of my own books, to my book release party at FlyLeaf books in Chapel Hill, to my first book fair (Read Local NC, Durham), to picking out table swag, it's been a wild and wonderful ride so far. Atomacon was a perfect first con. Small enough to feel personable and big enough to feel professional, full of kind people in every corner. I'm hoping to attend a lot of cons in my career, maybe even someday to the be the literary guest of honor, but I couldn't have asked for a better beginning. My author table, shared with Darin Kennedy, who was kind enough to give me the prime banner space. 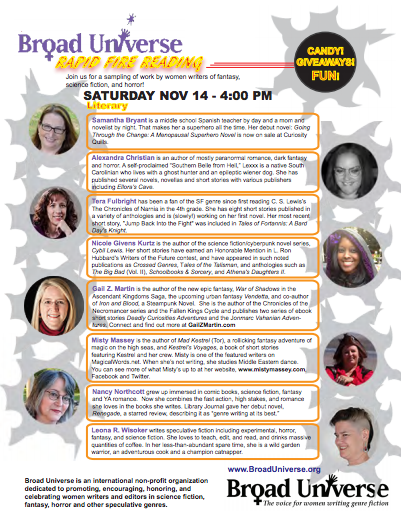 I got to talk about superheroes and characters from my favorite corners of the speculative universe with writers, fans, and artists. I offered my advice on panels, signed books at my table, and celebrated book releases with other writers. I met a man who built an R2D2 he could control with a remote. The members of Broad Universe were so kind and welcoming and I had a great time participating in my first Rapid Fire Reading with them. So, thank you South Carolina. I had a great time and hope to make a tradition of it! When I decided to write a book about a royal couple struggling with infertility, I had a very important decision to make: what would be the setting for this story? 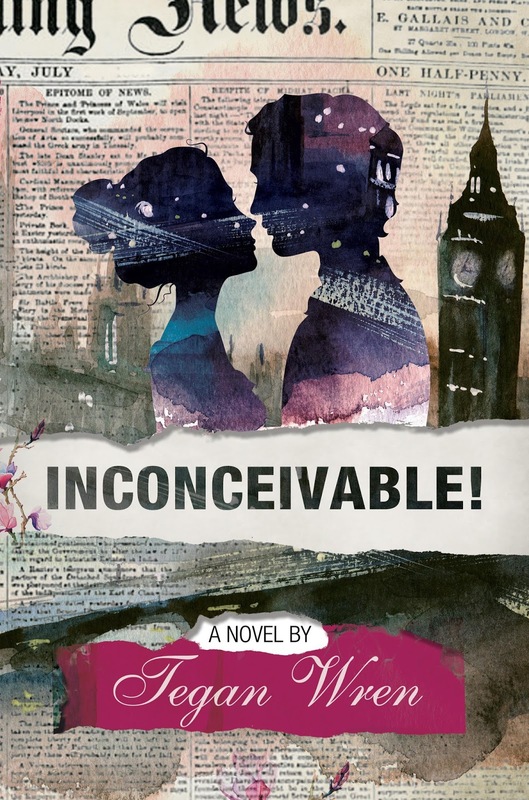 The obvious choice was the U.K. After all, it was Prince William marrying Kate Middleton and the resulting question—what would it be like if they couldn’t conceive?—that inspired me to write INCONCEIVABLE! It didn’t take long for me to dismiss the idea of setting my story in the United Kingdom. For one thing, I’ve spent a total of two hours in the country and that was only for a layover at London’s Heathrow Airport when I was headed to a journalism fellowship in Germany. Given my lack of in-country time, I didn’t think I could do enough research on this side of the pond to make the book feel authentic. That’s when I decided to create my own country. I’m not sure how I came up with the name Toulene. I just started using it in the early stages of the story. I experimented with different spellings before settling on one. Next, I looked at some of the city names in this part of Europe. Roeselare, the capital of Toulene, is the real name of city in Belgium. De Haan is a Belgian coastal city near The Netherlands, so I used this name for the coastal city where Prince John does his research on invasive species. Next, I had to think about how Toulene came to be and the cultural implications of its history. I wanted English to be the dominant language, so I imagined a group of disgruntled lower royals/landowners from England left the country and claimed this patch of land as their own, easily defeating and taking over the peasants in this part of continental Europe. This premise made it easy to see Toulene as a melting pot of languages, traditions, and other cultures. So, I borrowed character names from France and Belgium, mixing those with British names like John and Victoria. I searched online for real British palaces to find inspiration for the royal residence. I came upon an estate in the U.K. called Belvoir Castle. It’s simply stunning. Because this property is active and people can rent it for special occasions, I found a treasure trove of photos that I used to spark my imagination as I envisioned Belvoir Palace in INCONCEIVABLE! In the real castle, there’s a red room with high ceilings and gorgeous old paintings, and I loved the idea of Hatty and John sharing some special moments in that kind of space. I even used the photos of the castle bedrooms as inspiration for the palace bedrooms in my book. Of course, the real place and the photos merely served as my jumping-off point. I built out the grounds in my mind and imagined many more rooms than we see in online photos of the castle. The basement ballet studio was my own invention, and I created the idea of “The Flat,” the upstairs apartments where the royals live their day-to-day lives. 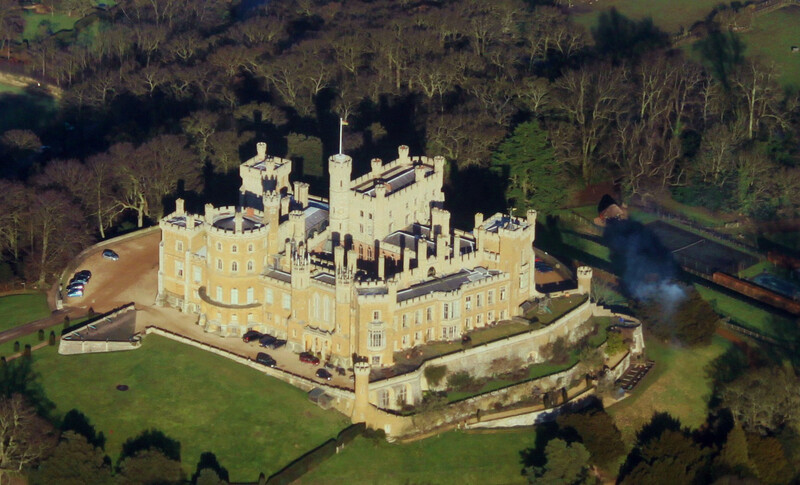 I’ve never visited the real Belvoir Castle, but you can be sure it’s on my bucket list! Walking its grounds and touring its rooms would be pure magic. I’ve had more than a few readers ask me if Toulene is a real country. I love that the sense of place is so strong and rings true. I really hope readers enjoy the time they spend in Toulene. I’ve done some very preliminary work on another novel set in and around Toulene. I simply can’t resist the idea of building another story in this country of mine. After all, why create a new country and then only tell one of its stories? Today is the cover reveal for Asleep by Krystal Wade, a YA horror that will have you on the edge of your seat with every page turn. This is the debut novel from Blaze Publishing, set to be released February 16, 2016. Pre-orders are available now from Amazon. Mark your calendars, and be sure to add the book to your Goodreads list! Share the cover on social media using our Rafflecopter entry below for a chance to win the awesome prizes listed, or come join us at the Cover Reveal Party on Facebook. Or do it all! At Blaze, we're committed to bringing you high-quality, hard-hitting books full of heart. Whether the story is a mystery, a thriller, horror, steampunk, or some goofy comedy, there will be a message woven into the pages for readers to find and fall in love with. We want you to walk away inspired, in awe, or just happy to be alive. Or maybe you'll look at other people differently, in a less negative light. Whatever the case, you will find heart in our stories. Our goal is to bring you four or five amazing works of fiction in 2016, and six in 2017 and each year after. We've already lined up a few and can't wait to see what comes across our desks next! 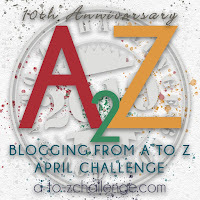 It's my pleasure to host Harding McFadden for a guest post today about The Great Detective. 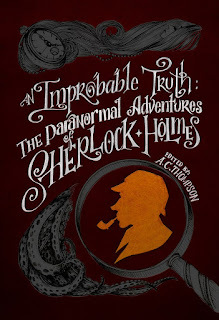 His story is part of the new anthology An Improbable Truth: The Paranormal Adventures of Sherlock Holmes, edited by A.C. Thompson. I suppose for everyone who has read of the Great Detective, there will always be that one actor, that one giant among the legions, who is Holmes. For me, it was always Jeremy Brett. The voice, the mannerisms. It was like the first time that I saw Michael Gambon play Maigret: there could simply be no other. Brett owned the part, and after the first time seeing him perform it, I could not read Doyle’s stories without hearing the dialogue spoken in that voice. When I was hardly a child, maybe eight or ten years old, my uncle gave me a copy of a Holmes collection full of great stories, and accompanied by wonderful illustrations. I fell in, and like so many others, never fully climbed out. There was passion, intrigue, mystery, and a sense of family between these two men that went beyond the words used. Like so much of what I read and watch and write, it is the family that stays with me. At the heart of my little attempt at a Holmes tribute is this theme of family. (In honesty, if you have had the misfortune to read any of my other, few published stories, this theme is always present. You can blame my wife and children for this: upon their arrival, all of my priorities shifted. I have never been so happy.) The narrator of the piece is Watson’s daughter, and through her words, I have tried to express her love of her parents, as well as the grumpy old genius that she shares her life with. This is my second time working inside Doyle’s world. About a year ago, if that long, I placed a story in a collection of Professor Challenger tales. When outlining that one (I needn’t have bothered, as the finished product came out very different than the outline, regardless of the wasted hours and days of research), I came to the early conclusion that I simply was not talented enough to emulate the narrative style that Doyle had created. To get past this limit to my ounce of talent, I opted to create another narrator, to tell the story in my own way, without having to step on the fingers of a giant. Likewise, with this Holmes story, I have opted to do the same. 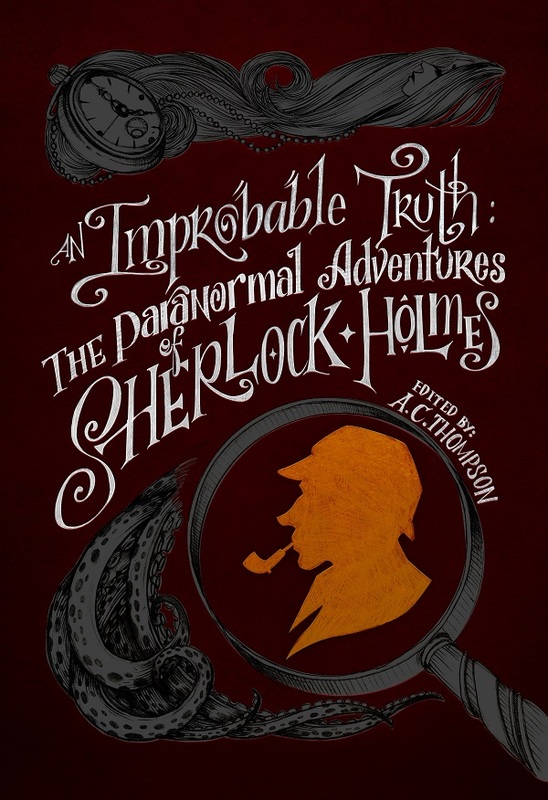 For as long as Holmes and his adventures have been in my life, I have likewise read horror. Initially, the cheap, easy to copy splatter of 80’s cinema, then as my taste became more refined (see: stuck-up), I began to dwell on horror that actually affected me. Any fool with paper and pen can write something grizzly and disgusting and call it horror. It isn’t. It’s just disgusting. Not to say that there is no place for disgusting stories, but I can hardly call them horror. 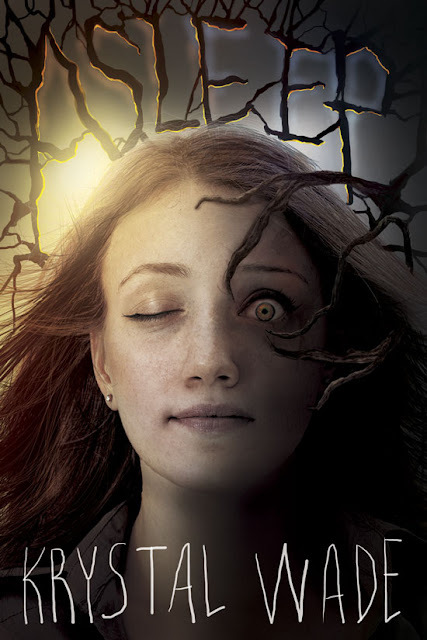 For me, horror is something that creeps in and takes a nap in your subconscious, waiting until just the right time to wake you from a sound sleep, bursting out in cold sweat, with no chance of sleep returning that night. This is hard. I suppose that’s why when I come across one, I hold onto it for dear life. F. Paul Wilson’s epically creeps “Foet” leaps immediately to mind. When I was writing this story, I didn’t want it to be just Holmes and Watson stumbling onto something horrific on any other afternoon. I wanted the world that the Detective and my version of his chronicler to be as much a piece of the terror as the happenings within the story. It isn’t just England, come last Thursday. It’s a mess of a place, kicked around by the heavens, until the only thing that separates it from Hell is a few degrees. I wanted it to be a horror story through and through, where no matter how well things work out, they’re still kind of screwed. Don't think, however, that this means the story is an epic downer, where you are tempted to open an artery as soon as you put it down. You see, I am cursed with a sickening optimism. No matter how bad the day, I still feel that things will work out for the best. I’ve said, more often than even I probably realize, that if you can’t find the positive in a thing, then you’re just not looking hard enough. Lastly, I have tried to instill this belief in the story. Harding McFadden is a Pennsylvania-based writer who lives a blessed life with his Wonderful Wife and Perfect Children. When he isn’t trolling the internet for open anthologies, he is constantly working on that novel that he’s been working on. He has been fortunate enough to have been published some half-dozen times: twice on everydayfiction.com, in the August issue of Mystic Signals, and in the anthologies Challenger Unbound, Dragon’s Hoard, and The Idolaters of Cthulhu. He has no regular social media outlets, though he will be starting somedamnthing-or-other soon, at the insistence (and threatening mannerisms) of friends and well-wishers. He hopes that you like his story. It was some time after the Case of the Crestfallen Corsair that the great detective allowed me to fill my late father’s shoes as his biographer. This would have been after the Great Scourge left half the globe a charred mass, the other half a sweltering, desiccated nightmare. Those of us in what was left of Great Britain looked fearfully to the dawn, constantly on alert for our own time. Nine months with no Heavenly fire, and still we shook in our shoes. In my minds-eye I could hear him saying these words around the stem of his pipe. Now, however, there were no ‘Three Pipe Problems.’  Inquiring as to why one particular day, I was informed that the smoke did nothing to focus his mind of late. I couldn’t help but assume that it was the constant barrage of ash flowing over the world that put him off of his pipe. How does a man willingly spark a match when the charred reminders of half of mankind float by his window on every breeze?